Hi! 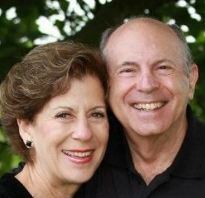 We’re Larry and Roberta (Schwartz) Wennik, owners of Affordable Editing Services (AES). We’re here to assist you in getting your words into print (whether on paper or electronically), no matter what stage you’re at in the writing process. If you’re just starting out with a great idea, but haven’t yet gotten it down on paper, we’re here as your writing coach. Many people find it helpful to have a sounding board to bounce ideas off of, decide what really needs to be said, and how best to organize those thoughts. Have you thought about who your audience is and how you’re going to reach them when you finally have the finished work? Maybe you’ve already completed your writing. As we say at AES, “no author should be without an editor.” Remember how many mistakes you missed on the first, second and sometimes third read-throughs? Guess what? You’d probably find more on another re-read. AES will save you the many re-reads, and also make sure that it’s right before it goes to press (literally or electronically). We’re not just talking about “dotting i’s” and “crossing t’s”. We’re talking about concepts and flow, as well. Whether we’ve brought you through the process of writing coaching and editing, or you’re bringing a finished project to us that needs publishing, we’re here to answer all your questions about the publishing process – what format to use (electronic or paper), whether to self-publish or go the traditional publisher’s route, how best to market and sell your book. We have a good deal of experience in both writing and editing. Check out some of what we’ve done. Because we work as a team, you have the advantage of two pairs of eyes reviewing your project. Our diverse backgrounds and different perspectives means that we will assess your project from a variety of viewpoints, which is a strong benefit for you and your project. I earned a Bachelor of Science in Electrical Engineering with a minor in English. That might seem like an odd combination, but I’ve always enjoyed understanding how our language works. After my undergraduate degree, I earned a Master of Science in Engineering and, years later, a Masters in General Counseling. Yes, again, a strange combination — engineering and counseling. Having played several instruments in my past, and now enjoying painting, I’d have to say that I’m probably about a 50/50 right-brain / left-brain thinker. My experiences with this background have been quite diverse: from electronics engineer — I was a contributor to the semiconductor industry in its early days — to commercial mortgage broker to management consultant. I founded DeltaPro over 25 years ago, specializing in Strategic Planning, Marketing and Sales Development, and Workflow Improvement (or Process Re-engineering). As a management consultant, I served as a teacher, trainer, facilitator, coach and mentor to CEOs and management teams in a wide variety of companies. Affordable Editing Services is my latest attempt to be of service – using both sides of my brain. My first career was in the Interior Design field. I suppose I’m dating myself, but one fun fact to share is that my diploma from the University of California at Berkeley is signed by Ronald Reagan, when he was governor of California. Years later, when wanting to lose the couple of extra pounds from having two children, I started reading diet books. I was appalled at how many weight-loss books were full of pure quackery. With my love of writing and helping people, I decided I needed to write the “definitive” diet book. Of course, a background in Interior Design wasn’t going to take me where I wanted to go. So, after pursuing a Master of Science in Nutrition at the University of Washington, I became a registered dietitian/nutritionist (RDN) through the Academy of Nutrition and Dietetics (AND). As I started my writing career, I became familiar with the Myers-Briggs Type Indicator® (a tool for identifying one’s personality type) and became a certified practitioner of it. I have to admit that I was quite unique in having brought together type and weight-loss back in the early 1990’s. I’m glad to see that it is becoming more mainstream now. Through my writing and consulting, I’ve shown people how to improve their lifestyle in a way that is comfortable for their type. I’m proud of the many books I’ve written, including those published by Perigee-Penguin Books, Kensington, and Alpha Books. When self-publishing came along, I found another way to reach my target audience. I’ve written such books as Your Personality Diet, Your Personality Lifestyle, and To Eat or Not to Eat, That is the Question. If you’re curious what your personality type is, my website at Advantage Diets has a free quiz you can take. Not only have I written books, but I’ve had articles appear in such magazines as Fit Magazine, Fitness, Eating Well, Cooking Light, Elegant Bride and Mature Outlook. I’ve also appeared on television on PBS, Fox News and TLC, and I’ve been a spokesperson for Vitamin Water (Coca-Cola) and APRE (Alliance for Potato Research and Education). Again, visit my website for more information. One of my true loves is cooking and creating recipes. Check out Spin-a-Recipe, where you play a slot machine to help you decide what to make. Then spin the wheels and change the ingredients to your liking. Using my design background, not only did I design the Spin-a-Recipe website, but also this one and my Advantage Diets website. I’ve also designed a number of book covers and graphics. Maybe we can be of service to you when it comes to your website. I’ve served on the board of directors of various organizations, including the local Chamber of Commerce, the local chapter of the American Society for Training and Development (ASTD), and a Business Advisory Council for the Resource Center for the Handicapped (RCH), which I also chaired for a term. I also served as Executive Director of a Junior Achievement company for two school semesters. Our first-semester company won the Company of the Year award for the greater Puget Sound area, and our second-semester company was the runner-up. I volunteer at the local community college, helping adults in the Adult Basic Education Department achieve their GED (General Education Development), a high-school equivalent diploma. Many people need support in reading, writing and math. I did similar work with the Snohomish County Literacy Group. I also volunteer in our granddaughter’s class. What a great joy it is to see kids’ eyes light up when they get that aha moment. And what fun it is to spend that kind of time with a grandchild. You can contact us via e-mail. We’ll then set up a telephone conference to see how we may be of service to you.